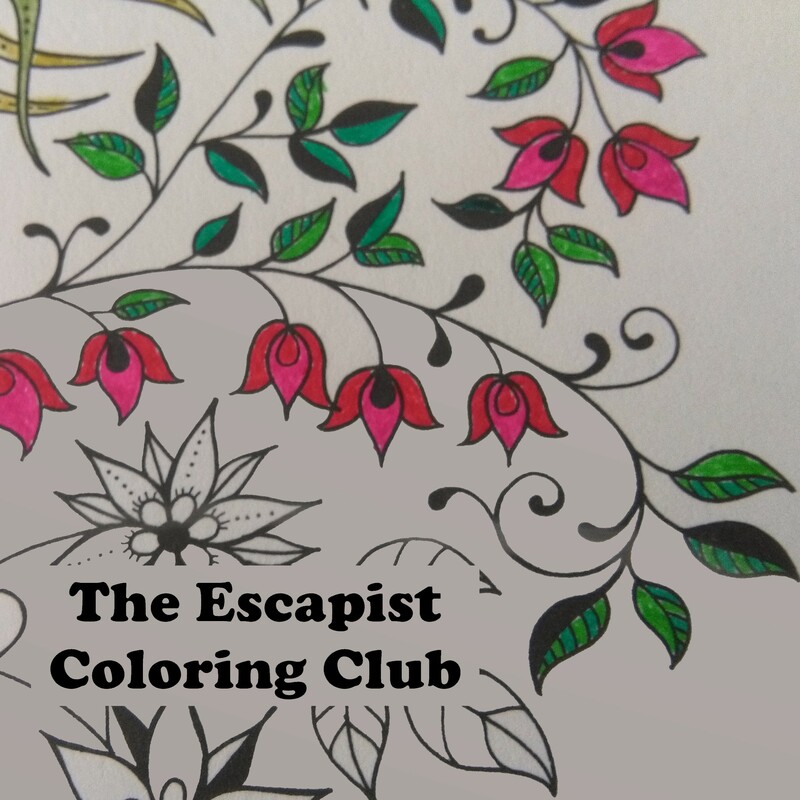 Hey there, and welcome to The Escapist Coloring Club prompt! If you’d like to join the club, all you have to do is post pictures of your own colouring, your kids’ colouring, or that of anyone you know and have permission to share. 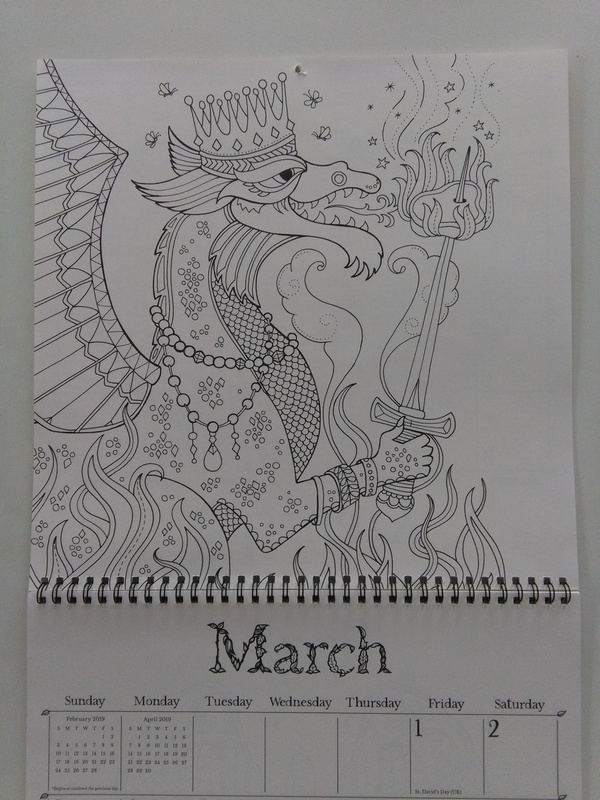 This is a month-long prompt, which means you have all of April to link back here. 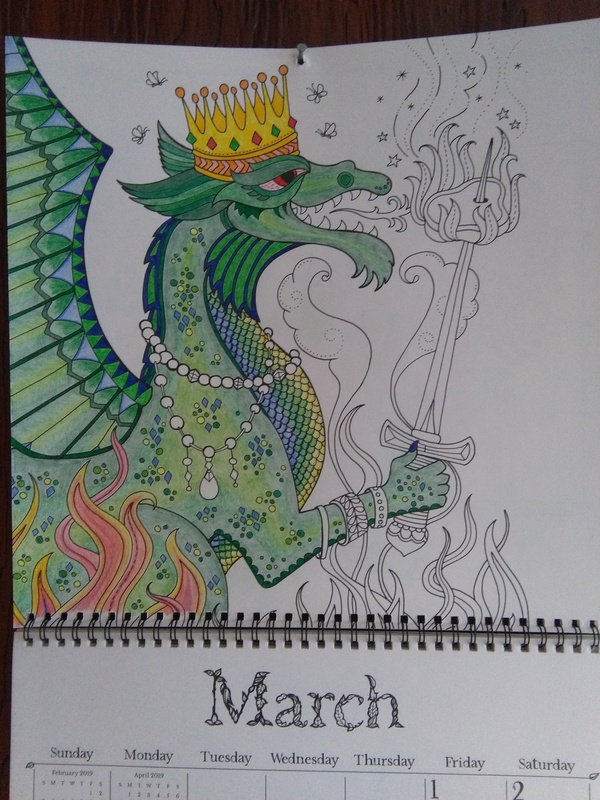 I really enjoyed colouring my March calendar page. So disappointed I didn’t get to finish it. And here are bits of the after. I’ve always loved dragons. I even have a tattoo of one! I think that’s what made this project so much fun. 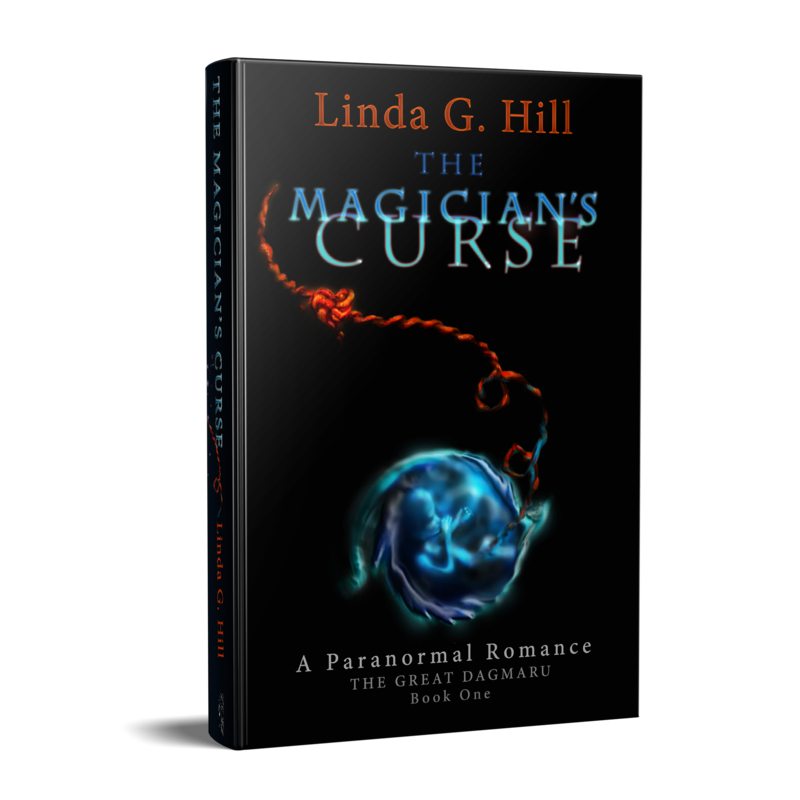 I look forward to seeing all of your wonderful projects throughout the coming month!